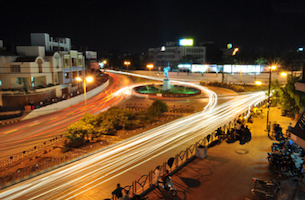 Situated in the Western Indian state of Gujarat, Rajkot, has a unique identity amongst Indian cities. For almost a decade our firm has been proudly representing some of the most pre-eminent Rajkot families. Over the years we have experienced Rajkot evolve into an important commercial and industrial hub for India and the rest of the world. Maintaining its old-city authentic charm, while developing a new modern face, Davies & Associates is especially proud of our firm’s history serving families from the Rajkot area seeking US EB5 visas. As required by the Indian Bar regulations, we partner with local professionals throughout India – these partnerships enable our firm to provide a full, seamless service to our Indian clientele. This arrangement has resulted in a 100% success rate for our Rajkot clients, as well as a local-oriented service. With the privilege to represent some of the most well-respected Rajkot families, you will find Davies & Associates to be a leading EB5 law firm in the Gujarat region. Contact us today for an appointment to learn more about our United States EB5 services.